Tote along a positive message with these fun canvas bags! 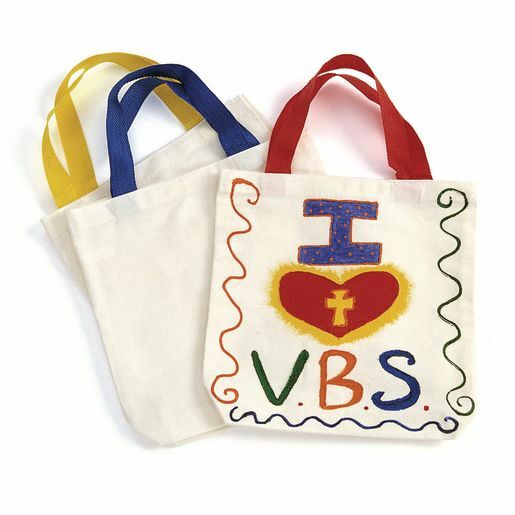 Use fabric paint pens, Biocolor® and puffy paint, to turn these bags into Bible totes, lunch sacks, mini book bags, purses and more! Bags measure 8 1/2"L x 8 1/4"H x 2 1/4"D. Paint sold separately.